Why do Irish men need an awards ceremony? Overall Winner of the 2018 Irish Tatler Man of the Year, Stephen Teap. This is the speech given by CEO of Irish Studio Ciaran Casey at the beginning of the Irish Tatler Man of Year Awards 2018. Held in the heart of Dublin, Irish Tatler Man of the Year Awards 2018 celebrated men from all industries and walks of life. Men of business, of humor, of arts and of sport gathered together for one purpose, to celebrate the huge achievements of the men in Ireland. These awards are for men and it is worthwhile to consider why there is a need for men’s awards. 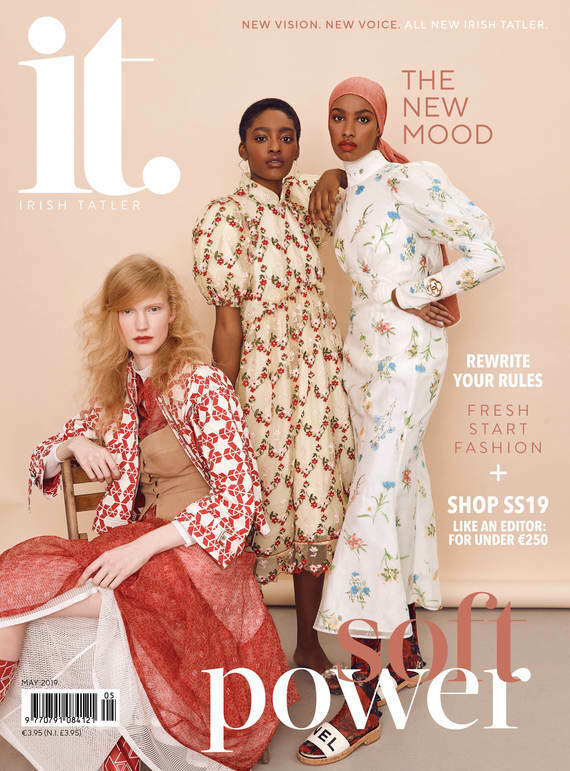 Firstly, the Irish Tatler brand is uniquely positioned to host men’s awards - on October 20, we will celebrate the 19th year of the Irish Tatler Women of the Year Awards. This is only Irish Tatler Man’s fourth – we are still the kid brother, but we’re getting there. We started these awards because young men need heroes and role models and at Irish Tatler Man, we believe while we have those heroes and role models in abundance in Ireland, we just don’t get the chance to showcase them. Sometimes the opposite is the case – we all know there is a lot of bad news about men and their behaviors - and, of course, it is right that this wrongdoing is called out and dealt with. But when there is so much of this (as there has been in recent times), there can be little room to recognize the humanity and the good that is in most men. Little room to show the next generation that there are more than a few good men. Ciaran Casey, CEO of Irish Studio launching the 2018 Irish Tatler Man of the Year Awards. So, we see these awards as important, they celebrate the extent of human achievement and they present us with role models and targets that we can aspire to. These awards tell stories, people’s real-life stories, stories of courage and persistence, stories of grit and determination and stories of human love and compassion. All of these qualities, which we admire in others, are to be found in abundance in both men and women. But they are often expressed differently depending on gender. There are different influences, expectations, and challenges that men face in modern life. We have a different lens through which we see the world. So we need a place where we can describe what we deem to be good, where we can point to our heroes, our role models so that we can applaud and thank them and most importantly, we can showcase them to the younger generations. We all need heroes - people we can aspire to and learn from. We need people that can make us laugh at ourselves or bring music into our lives that can touch our souls. We need sport or literature that lifts our hearts and bring us to new places. And sometimes we need someone who just by being who they are, can provide us with social leadership – they can inspire us and make us want to be better men. All proceeds from the event went to aid Men’s Sheds, a grassroots organization which strives for a future in which all men have the opportunity to maintain and improve their well-being on their own terms within their own communities. Overall Winner - Stephen Teap. Special Recognition - Jimmy Norman. Sport - The Limerick GAA Hurling Team. Music - Mango X Mathman. One To Watch - Luke Thomas. Special Achievement - The Dublin Senior Football Team. Satire - Waterford Whispers News.